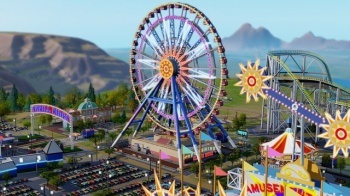 The lead engineer on SimCity's single-player mode says Maxis has been working on it since August. Maxis announced yesterday that nearly a year after it came out, SimCity will finally get a proper offline, single-player mode with the forthcoming release of Update 10. It's good news but also long overdue, which has led some people to wonder what took so long, especially since some random dude was able to get around the online requirements less than two weeks after the game was released. But according to Lead Engineer Simon Fox, taking the game offline is a lot more complicated than just changing a couple lines of code. He acknowledged that a modder was able to defeat the time check in fairly short order but noted that much of the game's functionality, like communicating with other regions or saving the current state of cities, would be lost as a result. "Lucy [Bradshaw] once said that offline wouldn't be possible 'without a significant amount of engineering work,' and she's right. By the time we're finished we will have spent over six and a half months working to write and rewrite core parts of the game to get this to work," Fox explained in a new SimCity blog post. "Even things that seem trivial, like the way that cities are saved and loaded, had to be completely reworked in order to make this feature function correctly." Fox said he "rallied the team" to start working on a single-player mode "as soon as practical after launch," which turned out to be August, and it's taken this long to get it working properly. Everything had to change, from the reliance on external servers for regional simulations to removing specific pieces of multiplayer code without crippling the multiplayer game. "We have an obligation to make the game fun and functional on all specs of machines," he wrote. "We wouldn't want someone who was enjoying the multiplayer game to find the single player game crippled due to poor optimization." The SimCity single-player update is currently in the final stages of testing and will be released in the near future as part of Update 10.